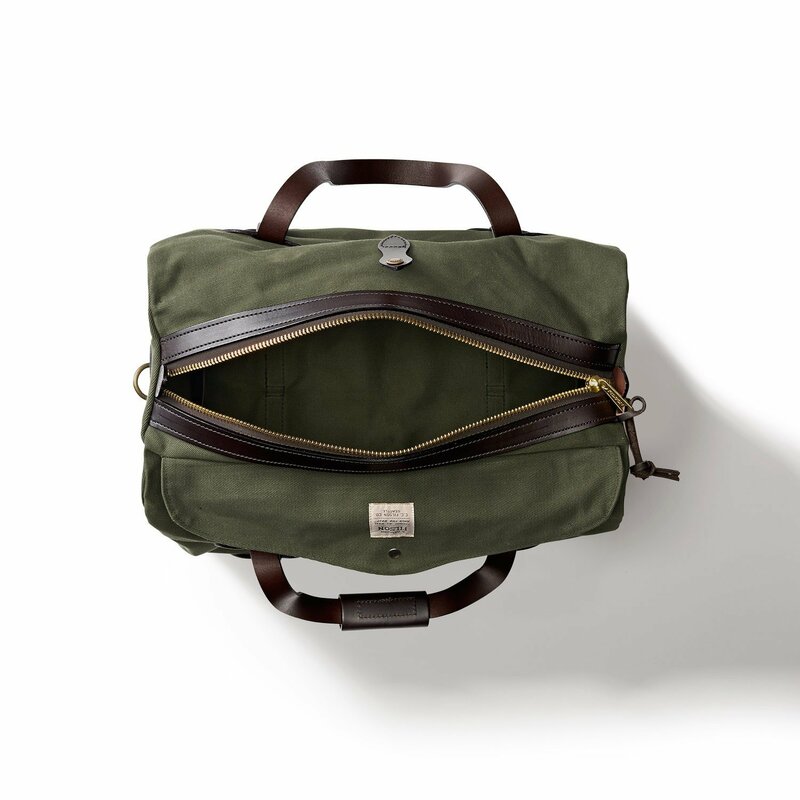 The Filson Small Duffle Bag is an ultra-accommodating 22-ounce bag that can hold just about anything that you need it to hold, regardless of the size. Measuring 18 inches in width by 10 inches in height by 11 inches in depth, this duffle bag is made from a blend of luxurious and durable bridle leather as well as rugged, stable twill. It can go with you anywhere that you go, whether that means you take it to the gym with you several times a week or bring it along on a camping trip. This is especially true considering that its rugged twill is both abrasion resistant and water resistant, making it a perfect choice for rain, shine or any other kind of weather. 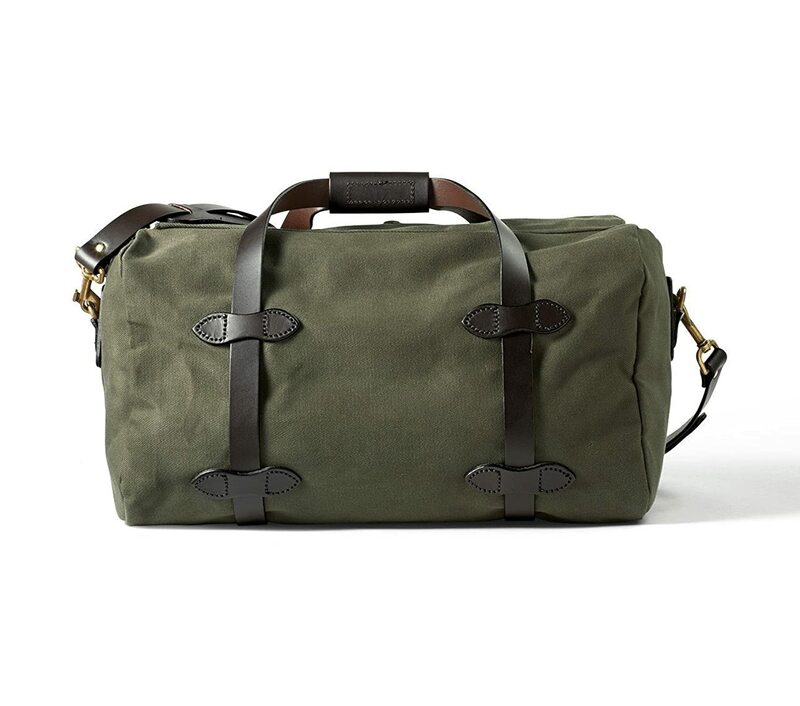 The Filson Duffle Bag features an adjustable leather-carrying strap that makes toting this bag along with you simple. The inclusion of the shoulder pad only adds to the sheer comfort and support that this duffle bag brings. You could also choose to carry it using the matching bridle leather handles that feature a two-snap grip for simple carrying. However you choose to carry it, you can keep your belongings placed securely inside thanks to the inclusion of its solid brass zipper closure. 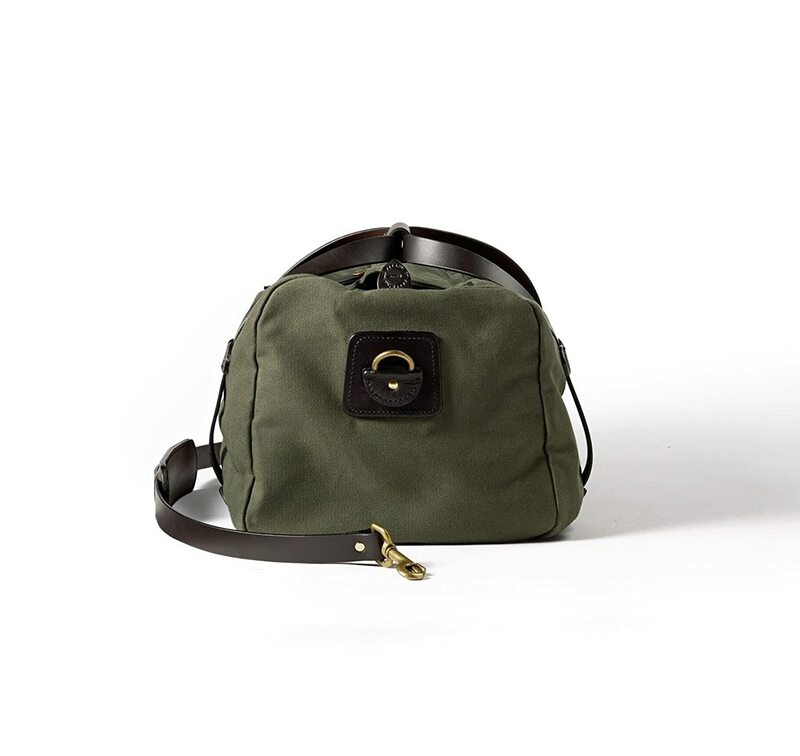 It even comes with a storm flap to keep everything ultra safe while adding to the Filson Bag’s weather resistance. When it comes time to clean the bag, simply wipe it down or brush it for simple maintenance. Ideal for many uses, the Aer Duffel Pack 2 Gym/Work Bag is a multipurpose gym and work bag that can go wherever you need it to go. This bag, measuring 21.5 inches in length by 12 inches in width by 8 inches in depth, features 24.6 liters of internal space, making it simple for you to store away all of your necessary belongings in one simple place. It is made out of water-resistant 1680D cordura ballistic nylon material on its exterior, helping to protect your belongings during your commute or in a wet environment like a shower room at the gym. There is a spacious front load compartment as its main space that makes it simple for you to input your belongings and keep them organized. When you are a frequent traveler, you need a suitcase that is going to outlast years of use and make your trips through the airports and train stations effortless and breezy. For a perfect blend of modern style and vintage appeal in your luggage, look no further than the Extended Trip Packing Case. This handsome suitcase features a contoured design that makes it simple to spot and recognize as your own. It has secure locking mechanisms that make it simple to open and close and a 3-stage telescoping handle with push-button adjustability for navigating concourses as easily as you can navigate the slender aisles on an airplane. The retractable top and side carry handles give you a number of ways to tote it around, and its four dual-spinning recessed wheels won’t get in the way when you store it in the overhead bins. Inside there are three different zip pockets for organization, tie down hanger straps to keep everything in place and a dedicated hanger bracket.